This People Weekly magazine is complete and in near mint condition with a mailing label. 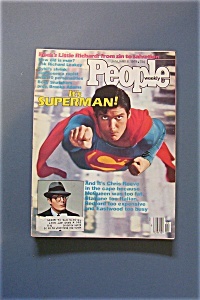 The front cover features: "It's Superman: Christopher Reeves". Full of news stories of the day and nice vintage ads. Measures approx. 8 1/4" x 11".